Fenit is a small peaceful Irish village that has wonderful views of the Slieve Mish Mountains located across Tralee Bay on the Dingle Peninsular which tantalisingly disappears into the horizon and the Atlantic Ocean. 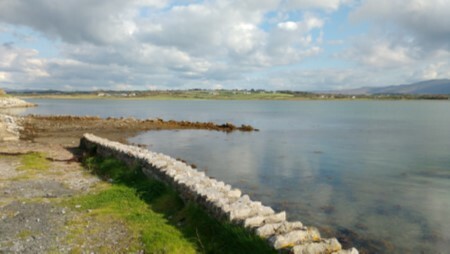 Fenit is also next to the sea and boasts its own sandy beach which is within 20 mins walking distance of the cottage and has the Wild Atlantic Way and the natural Barrow Harbour just down the lane. Also located within walking distance in the village is a small shop where you can purchase all the necessary everyday items required for your stay. Just around the corner from the shop is the local pub, with a family restaurant and sea views. From there is it is a short stroll to Fenit Pier and Marina. Here you may find moored the Jeanie Johnson the full size working sailing ship replica of the type that transported the Irish immigrants to America during the 19th century. If you like sea fishing you can either fish from either the many beaches, from the pier leading up to the marina or take a boat trip out into Tralee Bay.